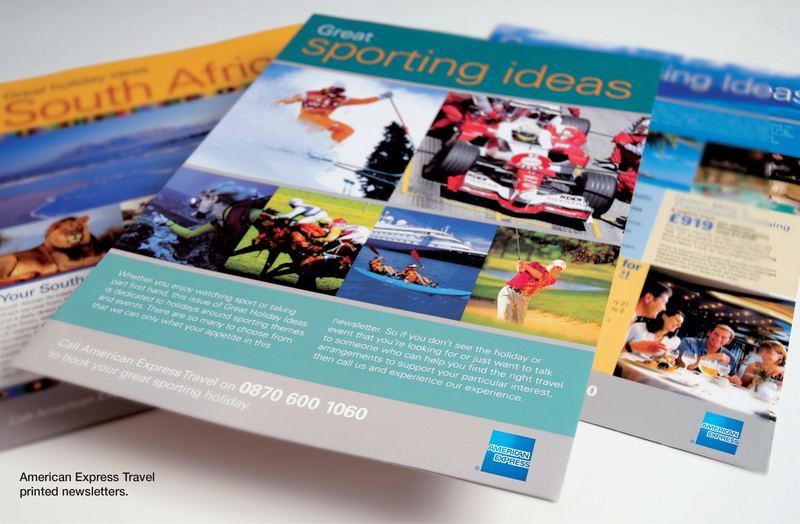 American Express Travel displays and newsletters. 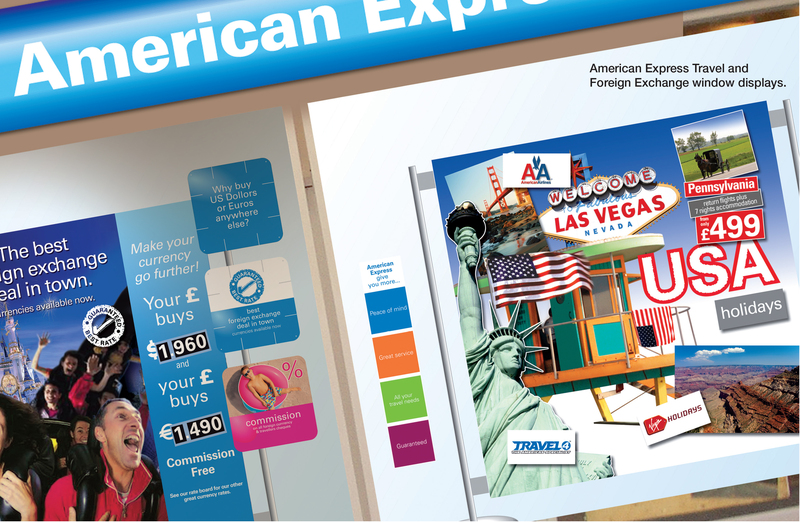 American Express Travel required a series of window displays to communicate their best holiday and foreign exchange deals. The displays had to be flexible so prices could be regularly updated according to daily market conditions, so included price packs for stores to update. 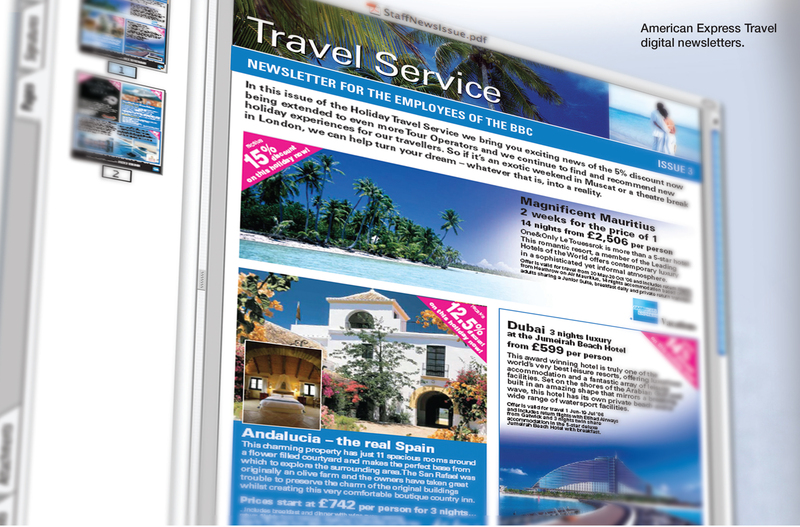 Other tools used to communicate to customers were printed and emailed newsletters.